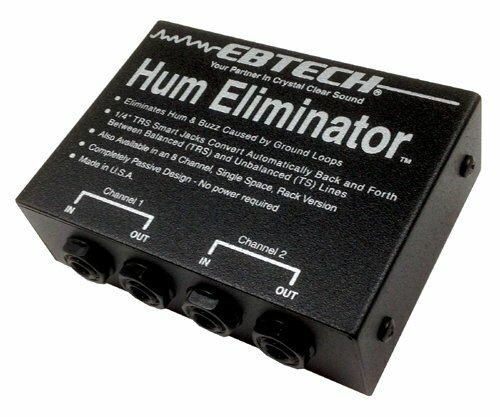 Eliminates ground loop hum. Just plug the HE-2 in between the offending pieces of equipment and your done. Also converts balanced and unbalanced signals. 2 channel box version. No power required, two-year warranty. Cold-rolled steel housing. Two Year warranty. If you have any questions about this product by EBTECH, contact us by completing and submitting the form below. If you are looking for a specif part number, please include it with your message.